Your special event deserves our special attention. Pot-O-Gold is the premier sanitation solution coordinator for outdoor events in the Gulf South area. From Mardi Gras parades and festivals to charity events and weddings, no one understands the details and logistics of planning the perfect outdoor event quite like we do. 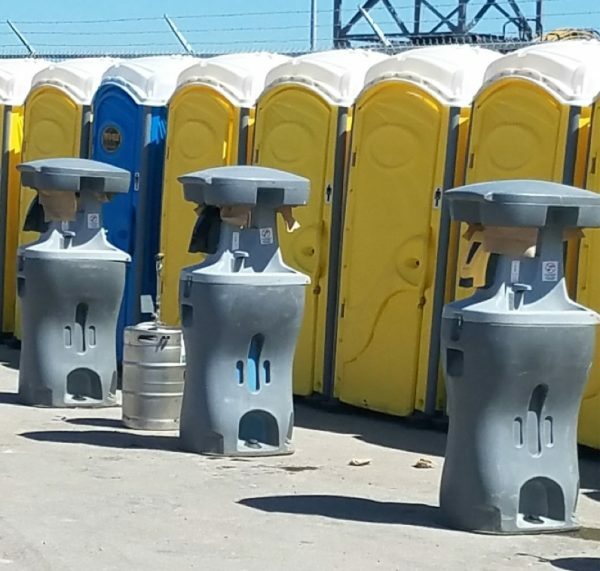 We have an unparalleled inventory of temporary restroom facilities, including a variety of luxury restroom trailers for superior comfort and cleanliness. Our specialized units are perfectly suited to cater to any occasion, large or small, and our friendly staff is ready to work with you to stay within budget. With Pot-O-Gold’s experienced workers, you can expect ideal equipment placement, superior service, and a fast cleanup. Dedicated event personnel and trucks are also available upon request. Let us improve your guests’ experience.